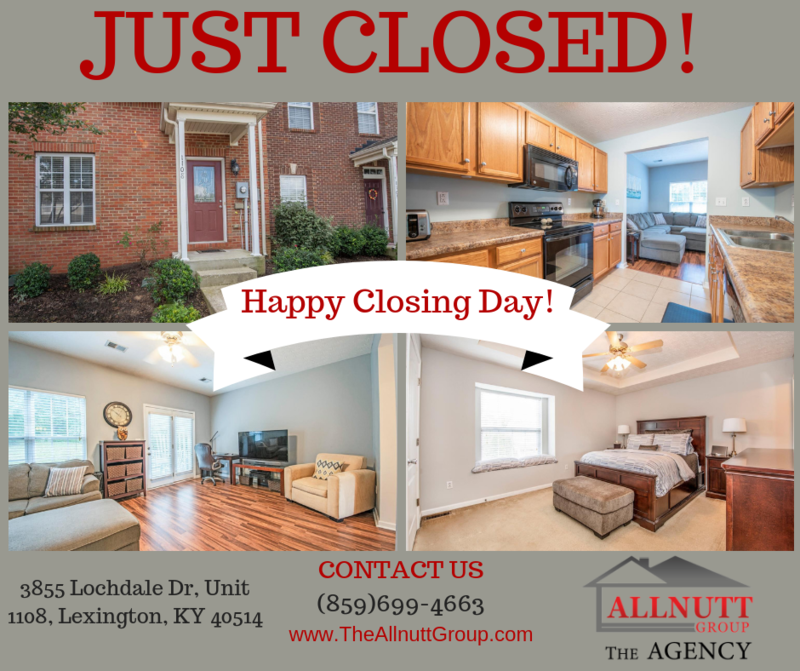 Congratulationsto Greg on the closing of his lovely townhome in Lexington, KY today! Thanks for working with The Allnutt Group again. We appreciate your repeat business! It was a pleasure helping you buy your first home and helping you sell your first home. We wish you the very best in Florida! The Allnutt Group at The Agency is currently looking for new properties to sell in Central Kentucky. Who may we assist next? Call 859-699-4663.